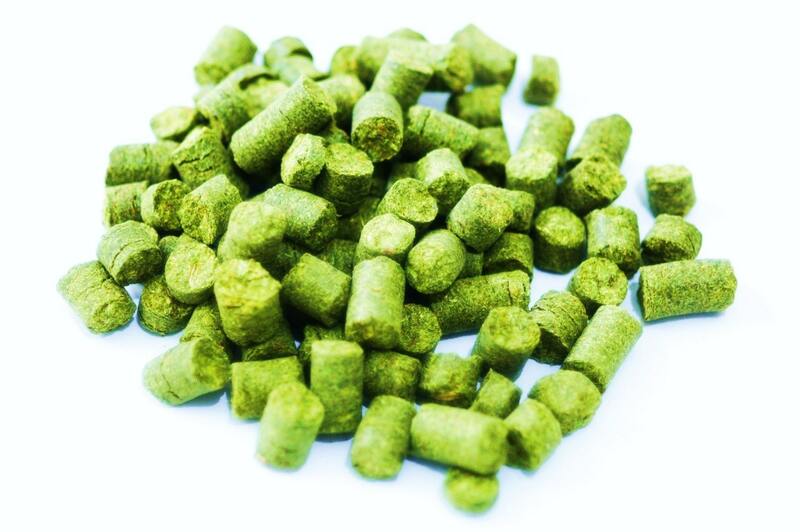 Like its German heritage, from the largest growing hops region in the world (Hallertau), Liberty Hops is an aroma variety with an alpha acid rating of 3.0%-6.0%. This variety, which was released in 1991 is likened to noble hops varieties, and comes with a delicate floral bouquet that has essence of spice. Liberty Hops is used in many different fashions and in many styles of beers. It will contribute bitterness at the beginning of a boil, and is used in that capacity. Liberty is more aggressive on the aroma contribution late in the boil, as it comes equipped with high levels of humulene and caryophyllene oil. Humulene provides the earthy spice and withstands heat better than caryophyllene, which is known for its essence of grapes, peaches, and vanilla.